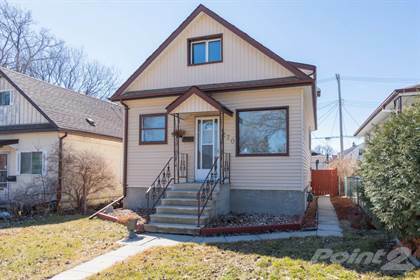 I am interested in 301 173 Watson St, Winnipeg, MB. 301 173 Watson St is a 1246 square foot Condo for sale in Winnipeg, MB R2P2P8. It has 2 beds, 2 baths and was listed on Ovlix.com since April 15, 2019 by Re/max Executives Realty for $219,900. Listing agent: Bunty Panchhi. The average price for similar 301 173 Watson St real estate listings - $254,231 which is 9% lower than $279,756 for Winnipeg, and 8% lower than $274,918 for Manitoba. Comparable nearby homes are: 211 1730 Leila Ave, 201 1730 Leila Ave, 793 Manitoba Ave, 80 Noble Ave, 1 319 Royal Ave. What's near 301 173 Watson St, Winnipeg R2P: Seven Oaks General Hospital, Weston, Winnipeg, Seven Oaks House Museum, Maples Collegiate, East Kildonan, Winnipeg, Garden City Shopping Centre, Stefan Ustvolsky, Manitoba Pioneer Camp, Seven Oaks (electoral district).